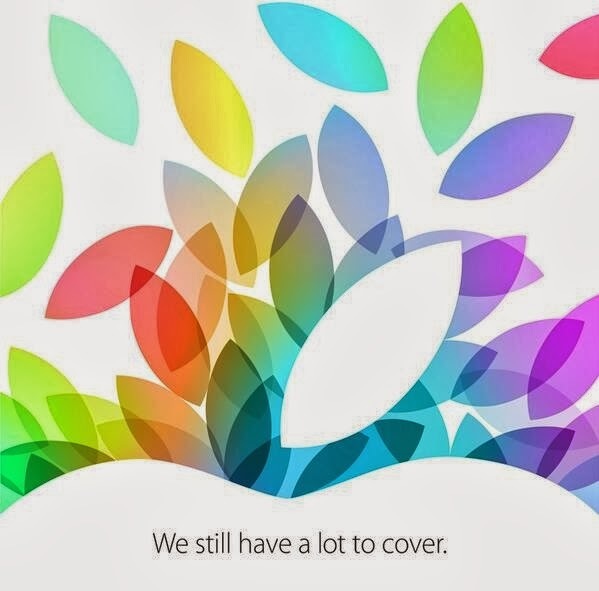 As expected, Apple's invitation for their long rumored next event, went out. With a simultaneous event in London. It's shaping up to be a big fall for Apple. iPhone in Sept and this Oct 22nd event is expected to be about iPad, with some MacBook & Mac Pro thrown in. But also some Mavericks talk is expected, because Apple has asked developers to be ready for Mac OS X Mavericks on Oct 22. Check out MacRumors roundup on what's expected in the next iPad. And the news on the new hires in Austin, TX to build the Mac Pro in the US. Apple announced yesterday a new Senior Vice President of Retail and Online Stores. The hunt has been on for some time now, and they picked a winner. Current CEO of Burberry, Angela Ahrendts. Tim Cook sent a flattering email to Apple employees too. And a former Wall Street Journal reporter Jessica Lessin writes that she loves watches. Hmmmmmm. Could prove some useful experience once Apple rolls out it's much rumored iWatch. And the Wall Street Journal has more background on the courting. She is expected to start at Apple next spring.